She is such an amazing mother! But she hadn’t had a litter since July. She had lost a lot of weight since then, and needed to get back into condition. Last month, she had a false pregnancy. So I was thrilled when she had a litter on the 17th. 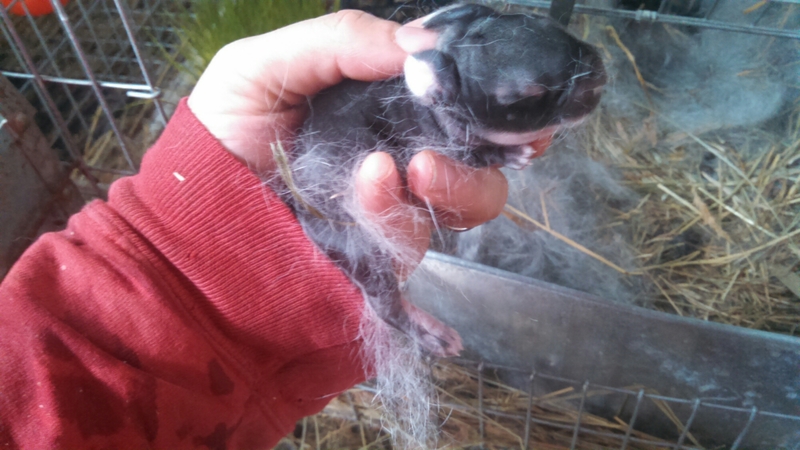 The litter was very small, only three kits. However, they are healthy and fat. Hopefully this gets her system back on track!